Arsenal goalkeeper David Ospina’s proposed switch from Gunners to the Super Lig giants Besiktas has been thrown into doubt, according to a report from Turkey. The Colombia international has been informed by Gunners boss Unai Emery that he is free to depart from the Emirates Stadium before the transfer window closes for foreign sides at the end of the month. A transfer to Besiktas looked the most likely result, with the Super Lig side said to have agreed to personal terms with the ‘keeper, but Turkish daily newspaper Sabah suggests that no such agreement is in place. 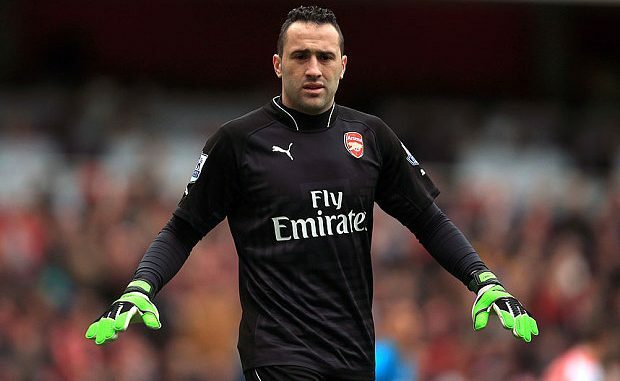 David Ospina has yet to give the Black Eagles’ management an answer, it is claimed, and other variants are potentially also on the table as there is also strong interest from the Argentine giants Boca Juniors. Out-of-favour star duo, full-back Carl Jenkinson and Costa Rica international forward Joel Campbell are also surplus to requirements at the north London giants. The last season, in all competitions (Premier League, Europa League, FA Cup, EFL Cup), Colombian shot-stopper made 21 appearances, conceded 20 goals and collected 9 clean sheets.